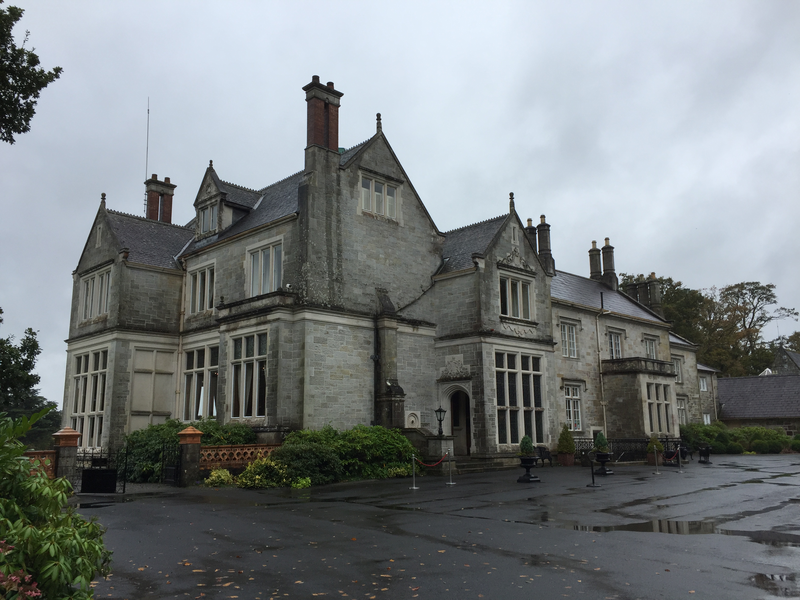 We began our journey in Dublin, then drove to Belfast, on to Mohill (County Leitrim), then to Salthill (County Galway), Killarney, Blarney, Waterford, and Celbridge. 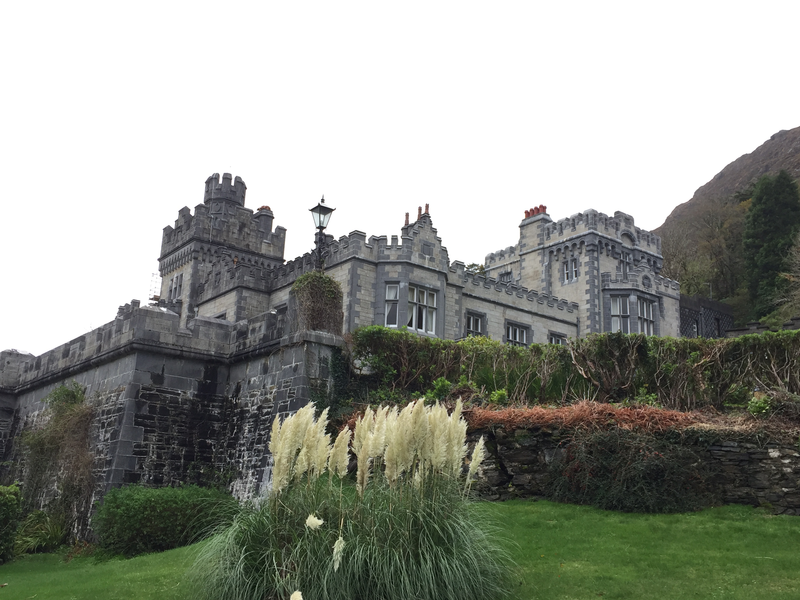 There were day trips to The Cliffs of Moher, Connemara National Park and Kylemore Abbey, The Irish National Stud and the Japanese Gardens. 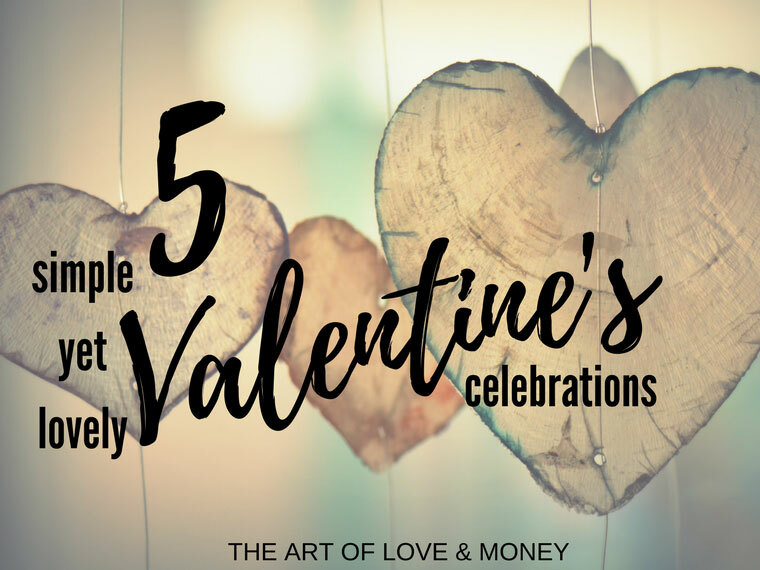 I will recommend a few of the places that we enjoyed – our absolute favorites along the routes, as well as highlight a few places that we missed – sadly! I wish we had more time to explore. 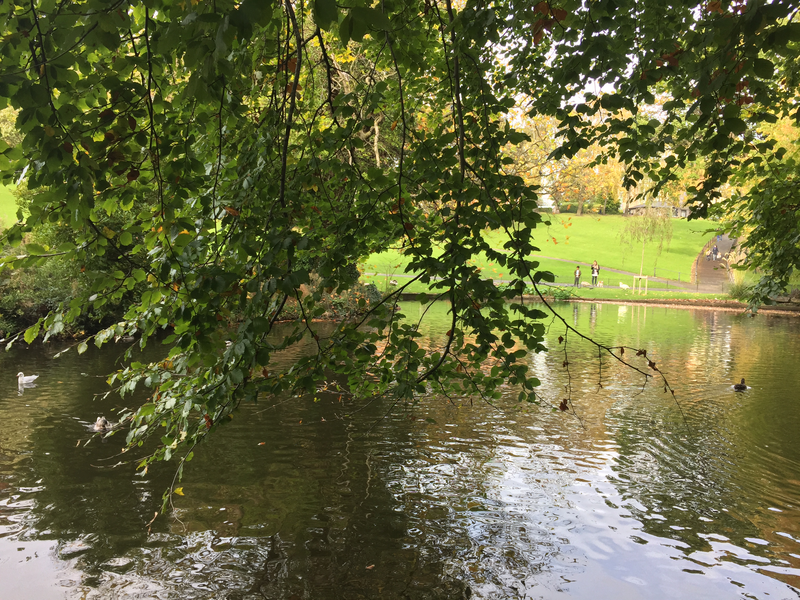 It sounds like 13 days is a plenty long holiday – but I could have spent 13 days in Dublin alone and still not have seen and done everything I would have liked to do. I hope one day I get to travel more immersive. 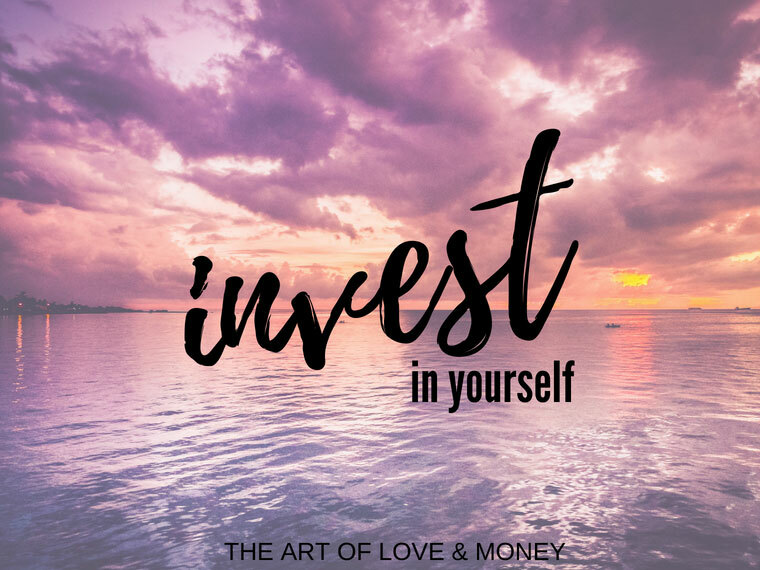 I want to live in the cultures, stay and learn the languages, prepare the foods, get to know the people as friends and neighbors. 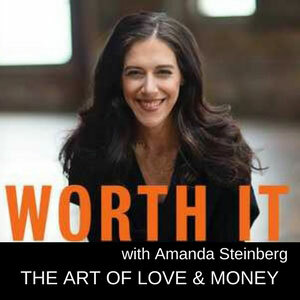 But in the meantime, here is what we did that I can happily recommend you do as well. 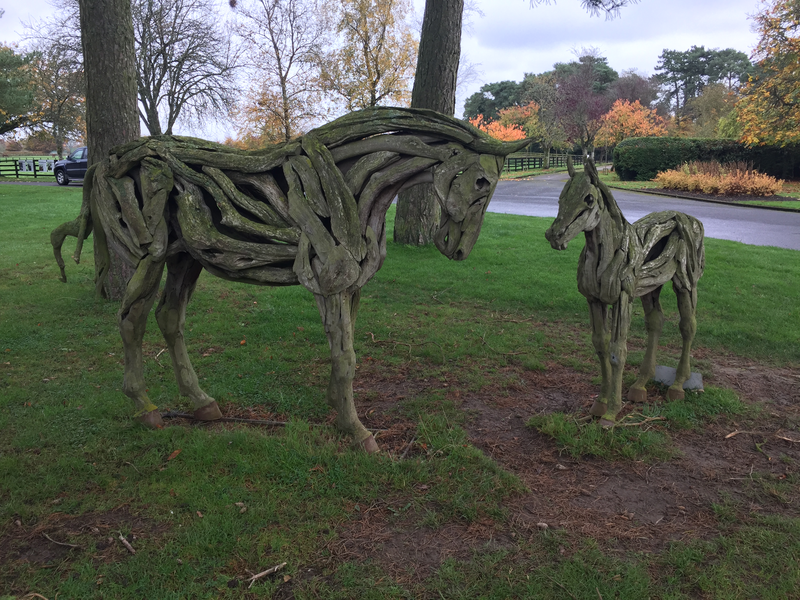 Phoenix Park – Lovely Park in the City Center. Expansive, green grass, lovely landscaping, ponds, structures covered in moss, people walking their dogs, and kids in strollers, lovers having a picnic on the lawn. Really quite lovely. 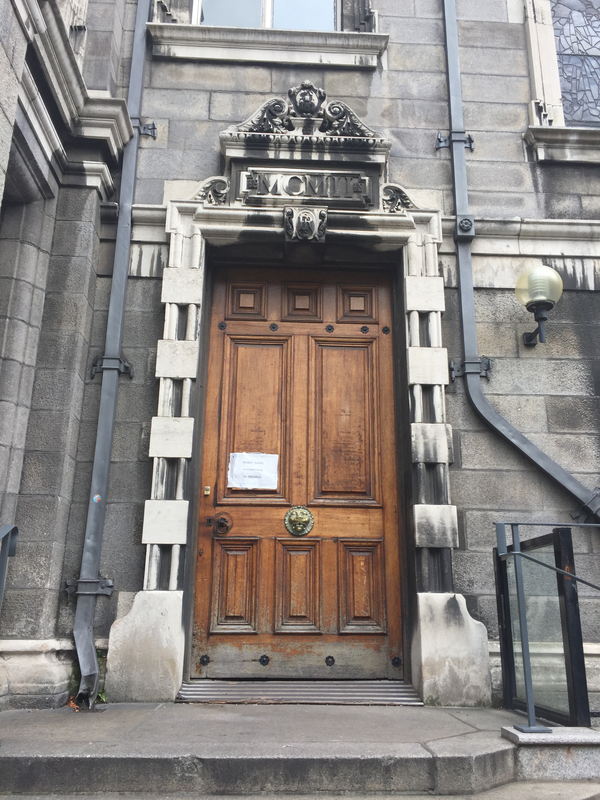 Trinity College -Stunning architecture, cobbled sidewalks, a massive old tree and the best doors and archways and windows! We went on a Sunday, didn’t see the Book of Kells, but I was so impressed wandering around at the architecture that I didn’t mind missing it one bit. I wish we would have hopped in on the yellow umbrella tour while here, but we didn’t know it was free at that time. I would have loved to learn about the history while there built in 1592! 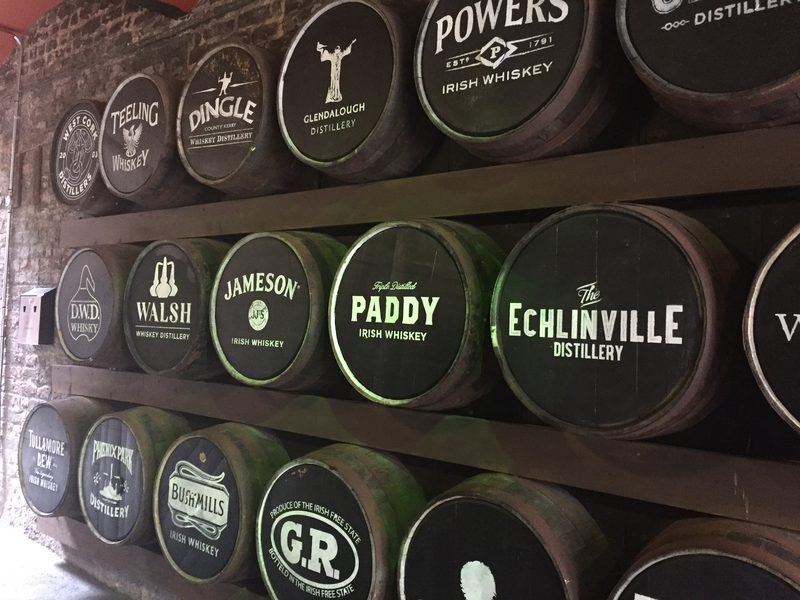 Irish Whiskey Museum – We had the best time in here! We were waiting for the Yellow Umbrella tour to start from the Tourist Center so we popped over next door. Unfortunately did not have time to do the tour, so we “self-educated” in the tasting room. That’s my kind of museum! The bar staff was lovely and we had the place to ourselves for about twenty minutes so we had a really great education and then met some more tourists from all over the world. Loved the Top-Shelf Whiskey flight. Yellow Umbrella Tour – Free walking historical tours of Dublin. 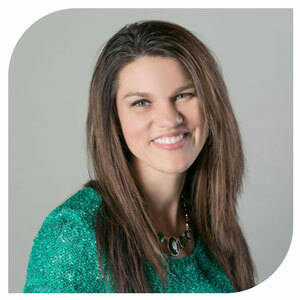 Very interesting and knowledgeable! Polite, friendly guides, great way to tour the city and meet tourists from all over the world. 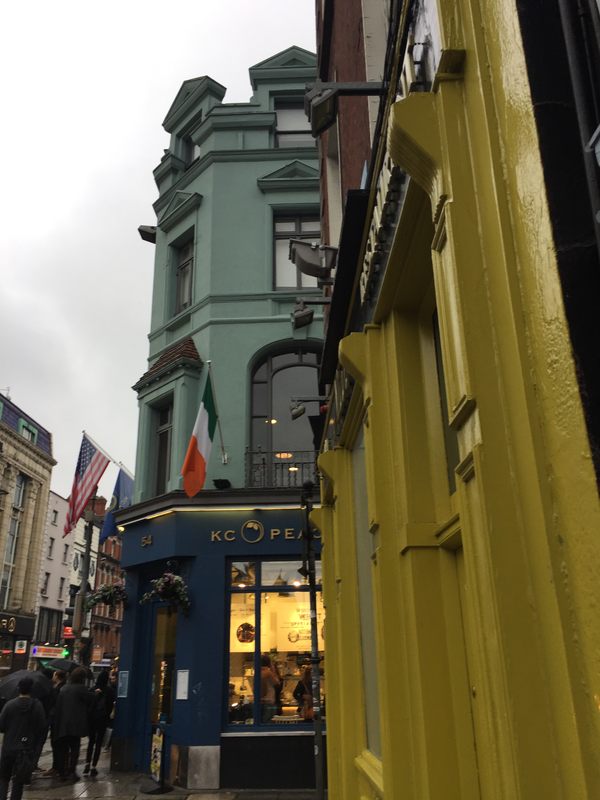 Yellow Umbrella Pub Crawl – By far the best night spent in Dublin! For a very reasonable fee, you get a walking tour of the pub district not far from the meeting spot on the North side of Dublin (under the Spire). This is a great way to hang out with other tourists from around the world, and local Dubliners. Our guide, Peter, was outstanding – friendly, knowledgeable, happy to answer any question you might have. Starts with an Irish beer sampling and lesson on the brewing process in the basement of one pub, ramble on to the next pub with a table upstairs, have a Whiskey, a Gin & Tonic with a lesson in the distilling process, then you can choose to order yourself a meal (buy your own), then gather up the tour group and stroll over to another local pub, enjoy a Guinness with more informative lesson on the Guinness pour, quality control, and why Guinness tastes better in Dublin than anywhere else in the world. Cap off the evening with an authentic Irish jam session and pay as you go at the last stop while you get to know your fellow travelers and enjoy a remarkable evening you will never forget. 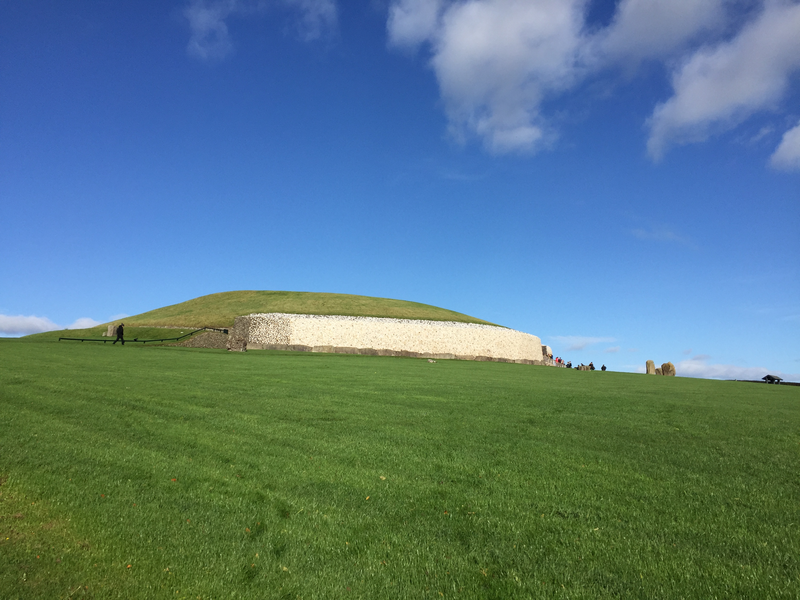 Newgrange Megalithic Burial Site – an ancient burial tomb 5,000 years old. Remarkable step back in time and even more impressive engineering feat to line up the tomb window with the Winter Solstice. The stunning views and panoramic landscape from this area alone are worth the trip. Entry through the Bru na Boinne visitor’s center only – so make sure to set your GPS to that destination – and not Newgrange itself! It was quite the disappointment to have to run around and go back for the bus. The walk from the visitor’s center to the bus was charming and we took some great photos along the path. 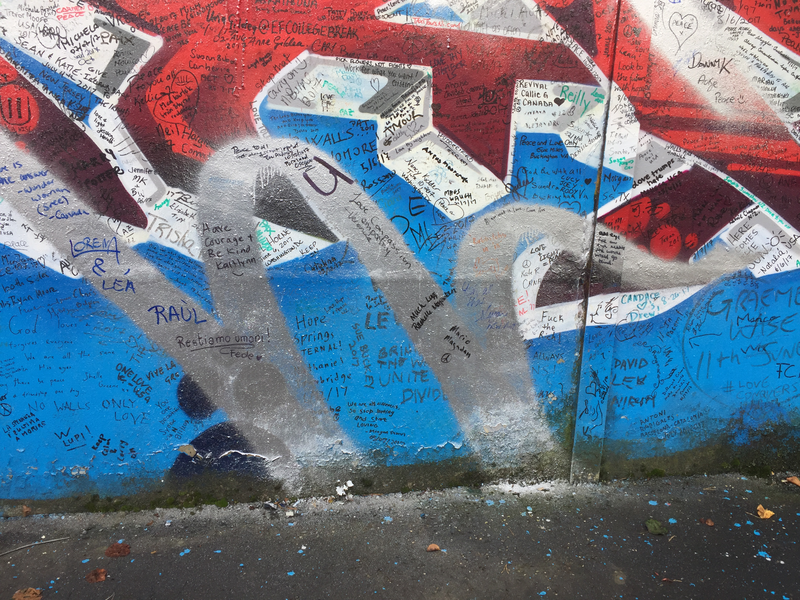 Political Mural & Peace Wall Tour – Ask the hotel’s front desk to arrange a pick up for a personal political mural and peace wall tour around Belfast. 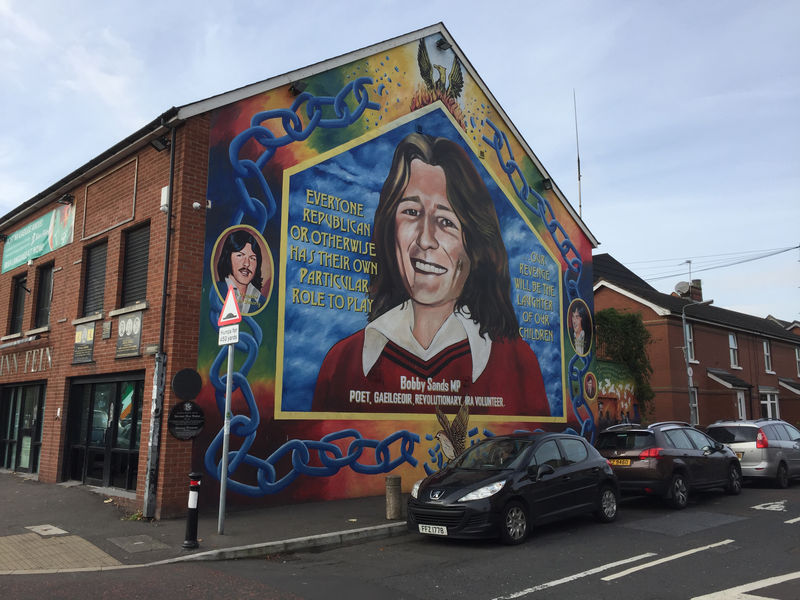 The guide was knowledgeable, had been born and raised in Belfast, and brought us to each political mural location, helped us out of the car and took our photos in front of each attraction. Our guide included a 15 minute stop at the Irish Republican History Museum. City Center – Ask your guide if he can also drive around the City Center if you don’t have time to do a walking tour of the downtown attractions. 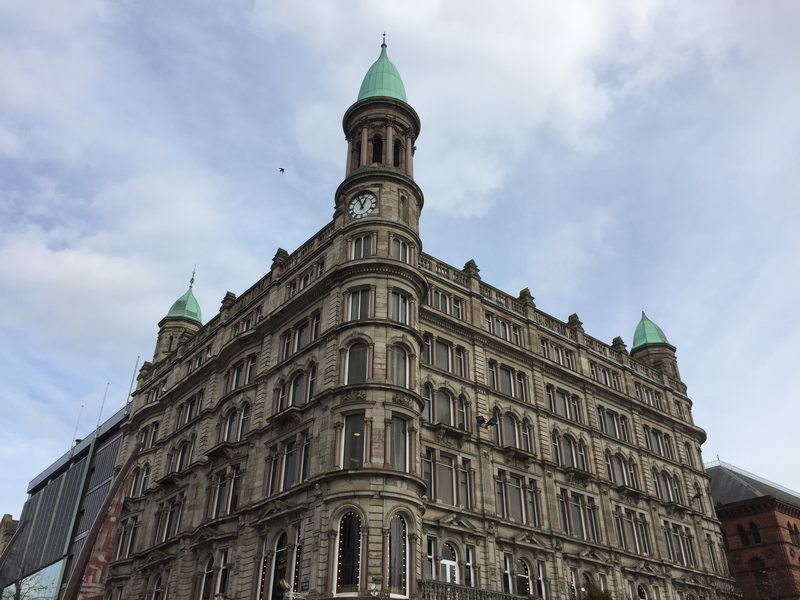 Check out The Queen’s University, St.Anne’s Cathedral, Cathedral Quarter, City Hall, The Crowne Liquor Saloon, and The Europa Hotel. It was really great to have a cab who could pull over and park close to the entrance, snap a photo and get back on tour. I would have rather had time to walk it, but this was the next best thing. 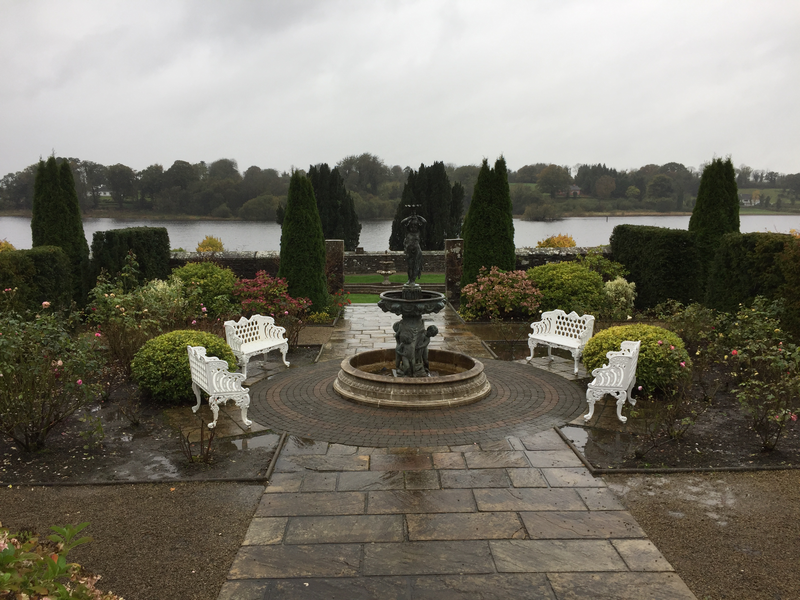 Walk the grounds at Castle Lough Rynn, have a formal tea time or an Irish Coffee at the bar. Sit in the many seating rooms on the first floor, enjoy the views, the fireplace, and the company you meet. 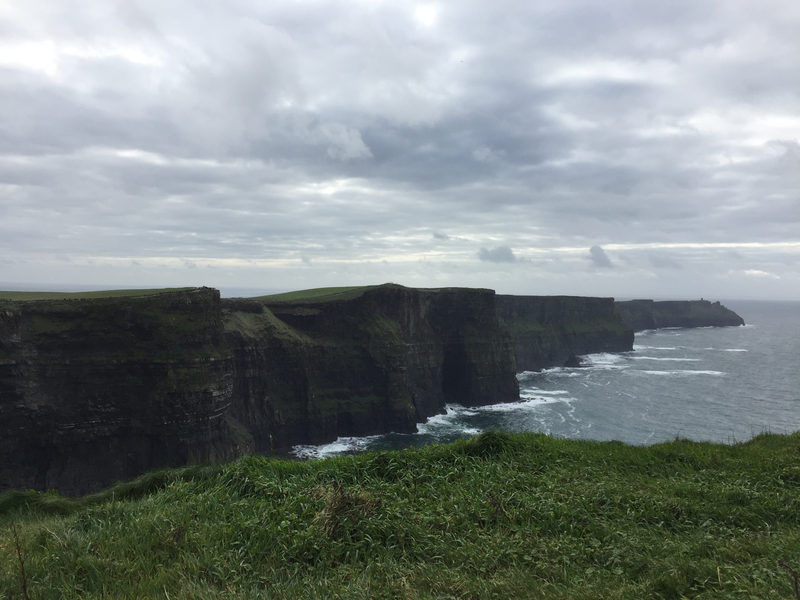 The Cliffs of Moher – Breath taking views. Spend several hours here walking up and down the different paths along the cliff line. Go into the tower and enjoy the views and the friendly tour guides. 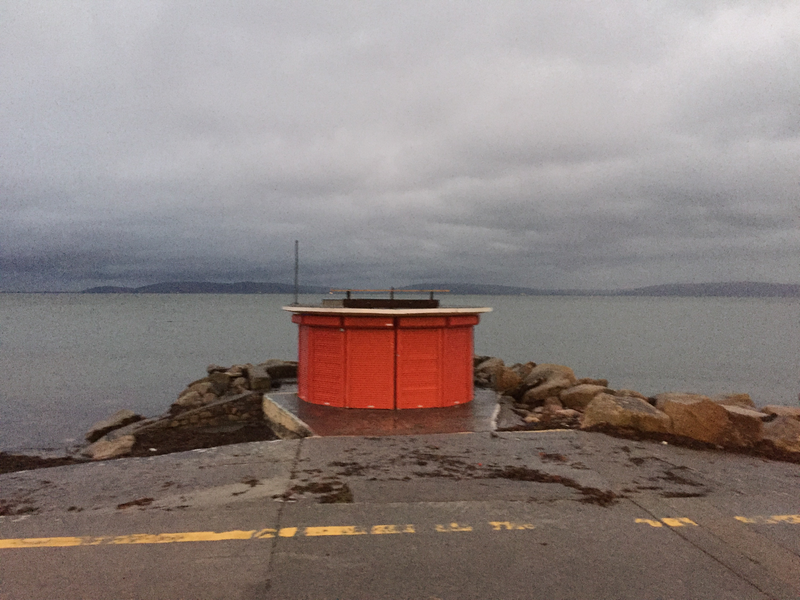 Salthill Promenade – Enjoy a stunningly walk along Galway Bay on The Wild Atlantic Way. Lovely open, expansive views of the steel gray water. Rocky shore line covered in seaweed. 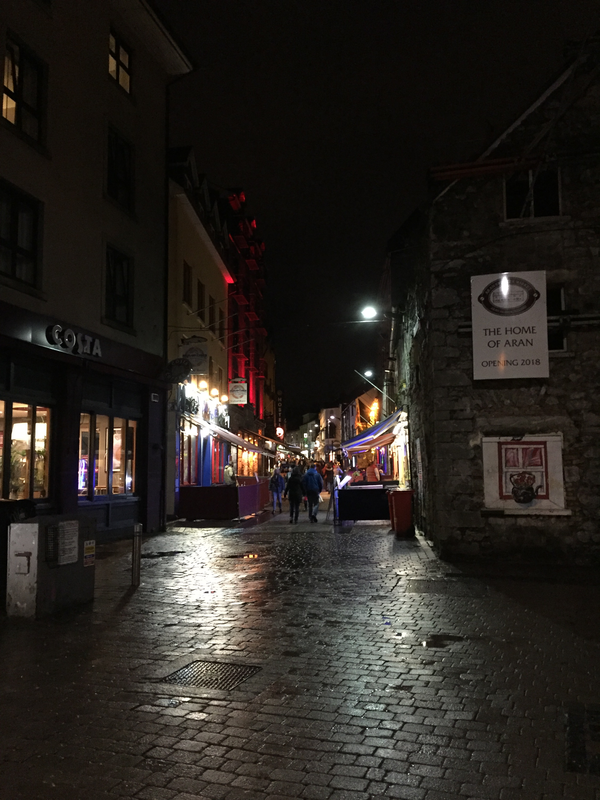 Quay Street – Lively Shop Street and outdoor performers. Great live Irish music and talent along the sidewalk paths. 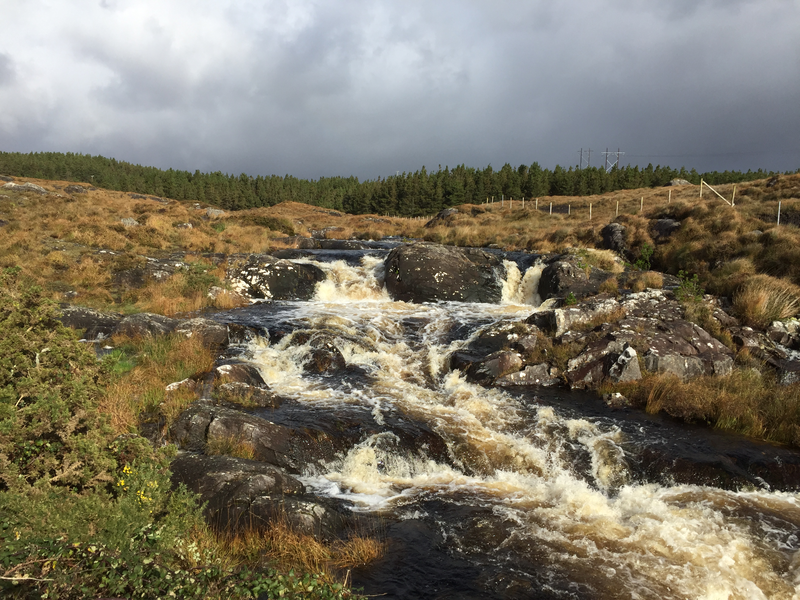 Take a day trip to Connemara National Park and Kylemore Abbey. We didn’t mind the drive one bit once we got going. The Wild Atlantic Way breaks into fields of penny walls and sheep dotted landscape, the views along the way were absolutely stunning. Some of the best pictures we took were here. Brigit’s Garden – Magical fairy land gardens. Very quaint and charming. 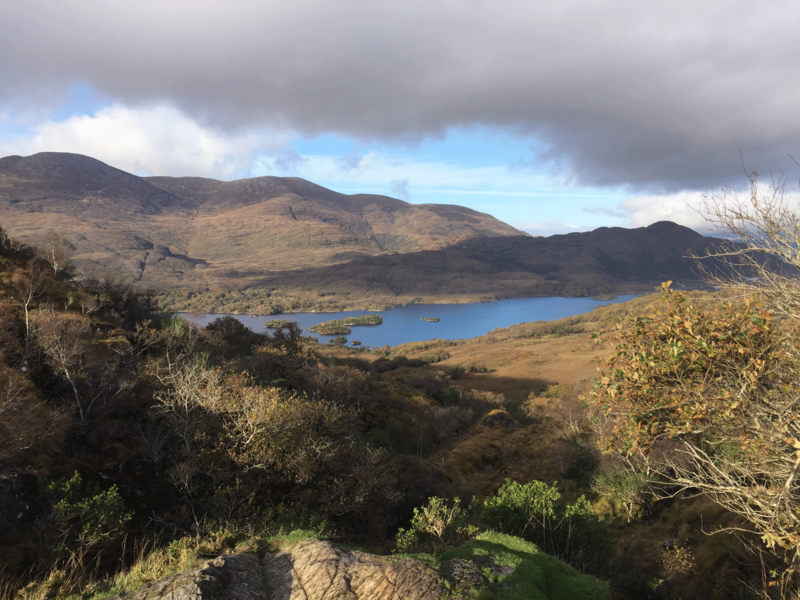 The Ring of Kerry – Dare to brave the narrow, winding roads for what is said to be the most spectacular views in Ireland, or take a coach so that you can enjoy the whole trip through the panoramic views of the bus windows. 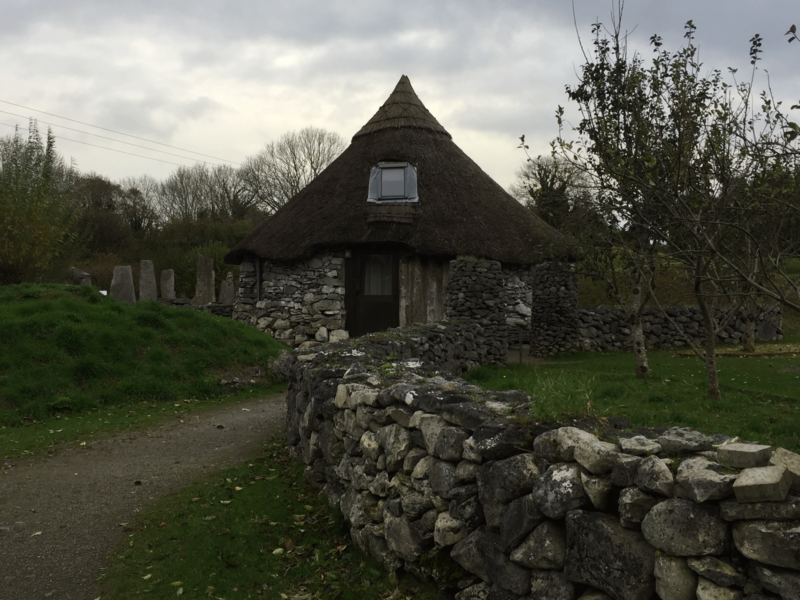 Along the coach route, stop for an Irish coffee, a replica bog village, and a cafeteria style lunch with a seriously stunning view. Town Center – Lively town center full of shops and pubs and friendly locals – you can meet some new friends in any given pub, share a Guinness and a laugh over the Traditional Irish music. 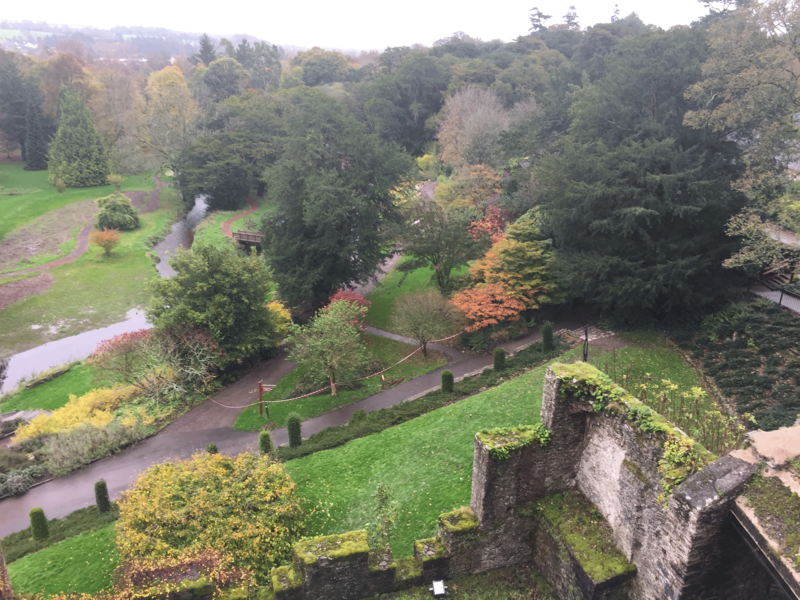 Blarney Castle and Grounds – Don’t miss this attraction – even if you have no need to kiss the Blarney Stone and already possess the gift of gab. There is SO much more here than I would have ever imagined. The gardens alone were worth the trip and the price of admission. We wandered happily through the gardens for hours, every twits and turn revealing a new wonder. The castle itself is really fascinating – the climb is an adventure to the top. The thick walls let little sunlight through, the stairs are narrow and slick, made of what appears to be marble and natural stone. It feels like making your way through a cave, even as you are climbing up. The views from the top are majestic. You made it this far, go ahead, pucker up and give that stone an upside down and backwards smooch. 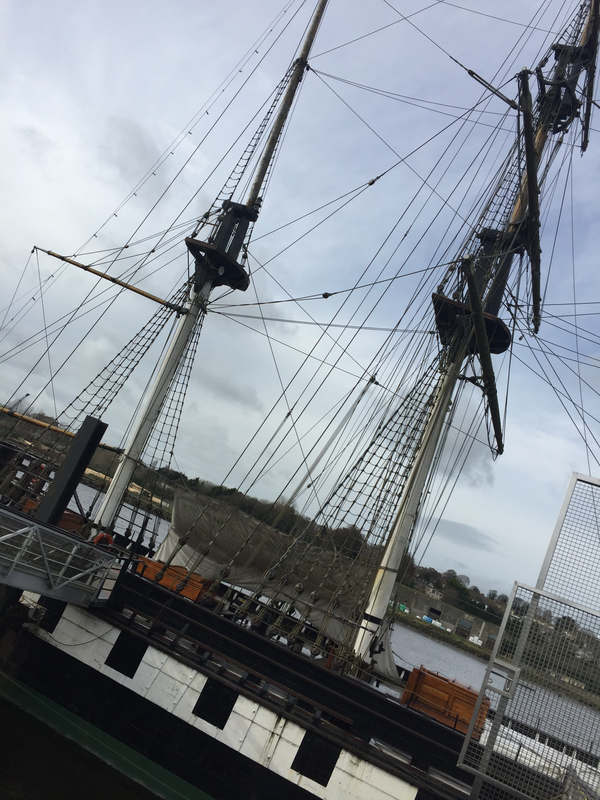 Dunbrody Famine Ship -A replica famine ship that brought passengers to the New World. Sounds much more romantic than the treacherous journey actually was. A historical reenactment displaying the horrors of life endured those brave enough or downtrodden enough to leave. Eye opening in every sense of the word. JFK Memorial Statue U.S. President John Fitzgerald Kennedy is highly regarded and celebrated in Ireland. Five generations from famine immigrant to the most powerful man in the World. 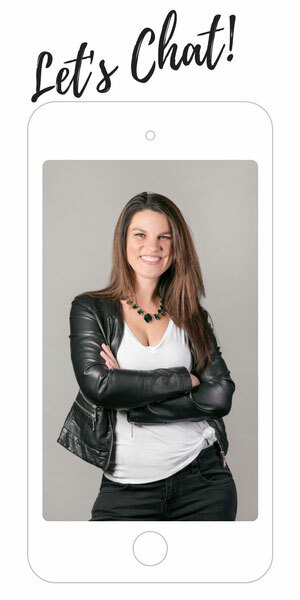 Now, that’s something to be proud of. You can shake his hand on the boardwalk along the levy in New Ross, County Wexford. 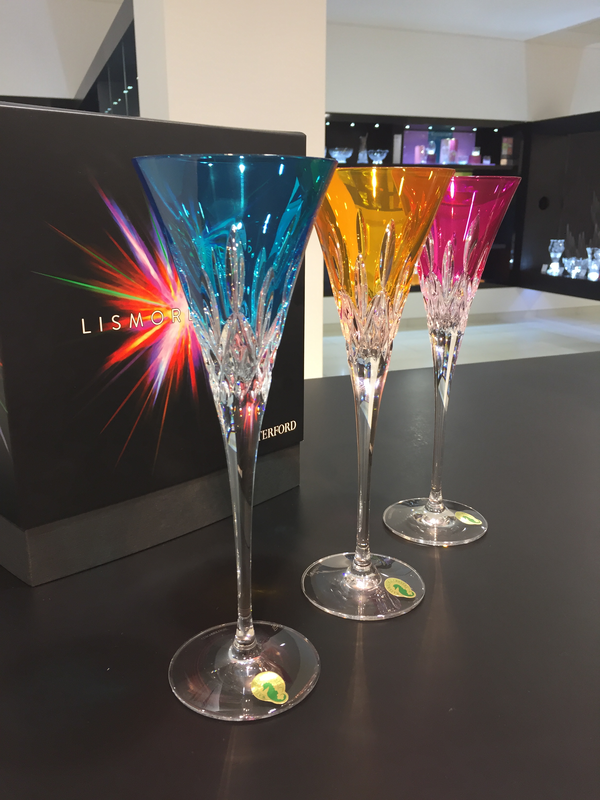 Waterford Crystal Showroom – Wander around this spectacular show room and feast your eyes on the master artistry that has been practice for generations in County Waterford. Stunning display. If you are lucky, the gentleman in the corner will be engraving crystal at his desk while you stroll through. 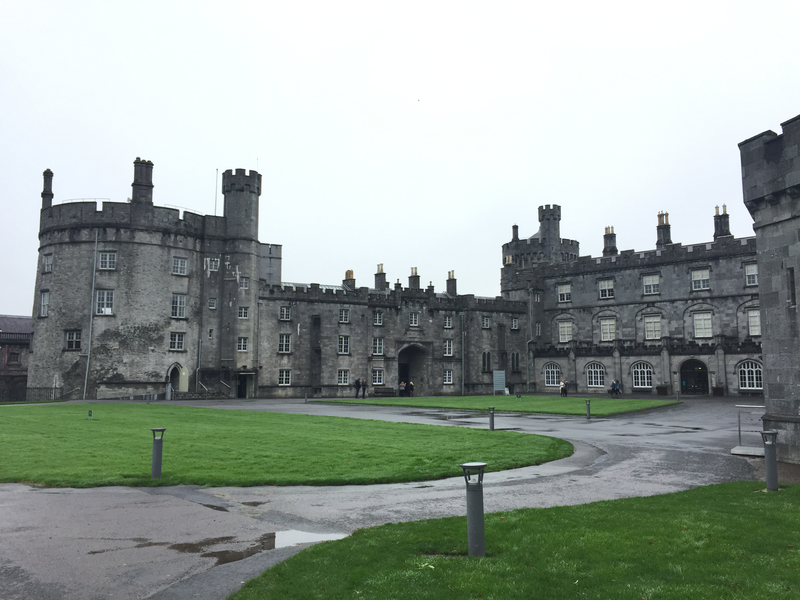 Kilkenny Castle – Explore a fully renovated 13th Century Castle. This is what you imagine when you imagine stately castles – if you can even fathom the sheer size. It’s humongous and the lovingly crafted, detailed renovation is impressive – Everything from rugs to wallpaper were recreated from scraps found of the original print and color. The art gallery is a beautiful masterpiece. Irish National Stud and Japanese Gardens – Visit the home of Ireland’s most famous race horses, take a tour from a guide to learn all about the stud process, explore the beautiful and serene Japanese Gardens. Don’t forget the natural beauty of St Fiachra’s Garden surrounded by the commercial stud farm. Stop by the museum to learn the history of racing in Ireland as well as the unheard of philosophies and practices of the eccentric William Hall Walker and reverence for astrology. 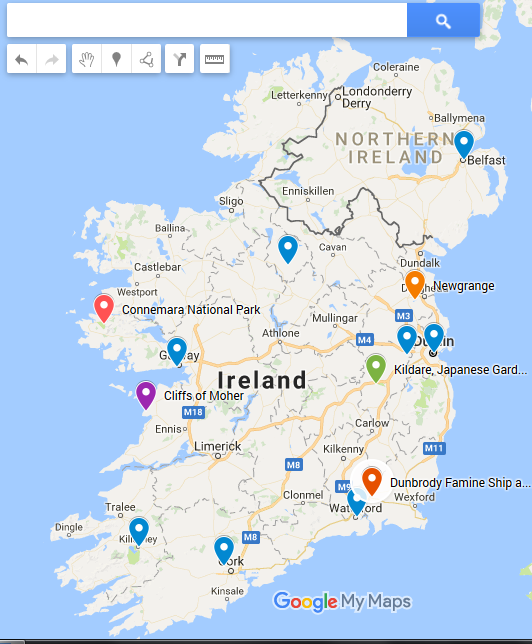 Headed to Ireland? 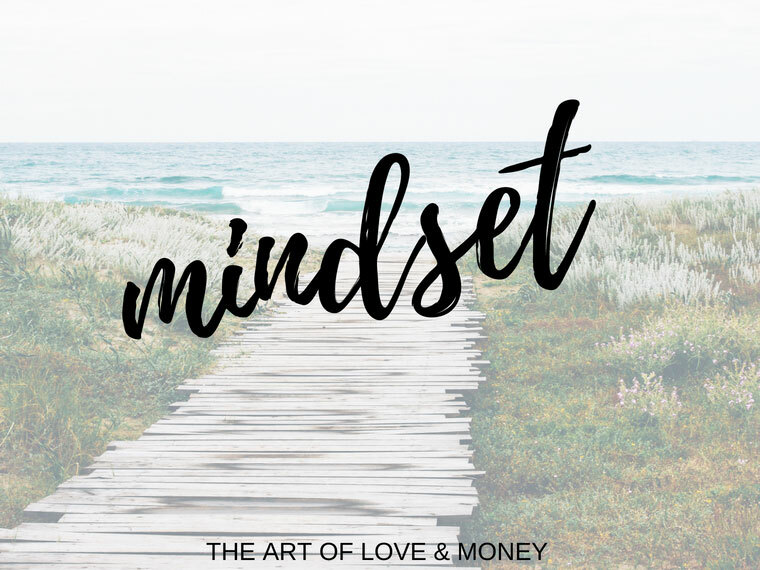 Send me an email if you want some trip advice – I’d love to share what I learned with you!